BOOKING NOTE: Choose the date you would like to start the four lesson package from the booking calendar. List the remaining 3 surfing days within the online booking form. The school holiday package is run only during the school holiday breaks (Ages 6+). Ideally the lessons will be taken on consecutive days, however, if this does not suit we give you the option to choose the four days that work best for you. These details are to be filled out in the online booking form. 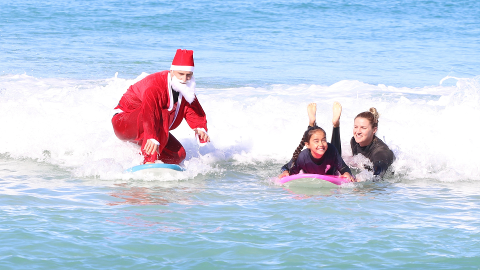 The four day surf package is a fun and energetic way to entertain the kids during the holidays. 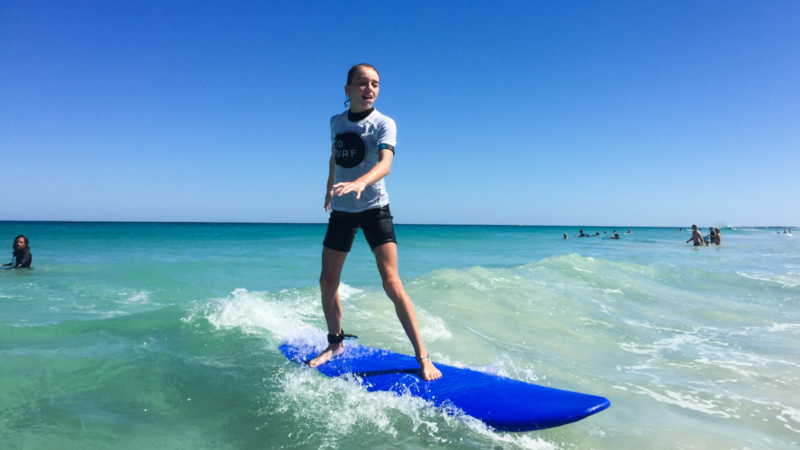 Go Surf provides a safe and controlled environment for your child to learn the basics of surfing. The lessons can be taken on any days throughout the holiday period. 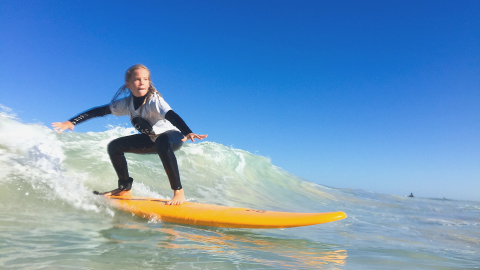 Topics covered include surf awareness, ocean safety and surfing technique, giving your child the skills and confidence to conquer the waves. For the more confident surfers, we’ll assist in fine-tuning technique and wave selection so they can start ripping! 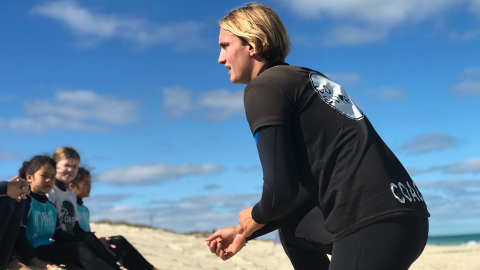 For the less experienced, or for those who are a little more hesitant, our coaches will focus on the basics of learning to surf as well as boosting confidence in the ocean. By the end of the first lesson they will have caught the 'surf bug' and will be eagerly awaiting their next session. A Certificate of Participation is issued to each child on the last day. 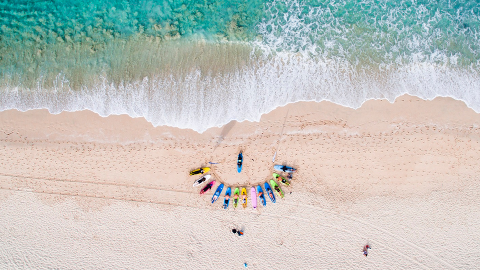 Price is inclusive of equipment (surfboard, wetsuit & sunscreen) plus all the assistance you require from our friendly surf instructors. All you need to bring is your bathers/boardshorts and a smiling face. All the surf instructors at Go Surf and fully qualified with Senior Fist Aid, Surf Rescue Certificates and Level 1 Surfing accreditation. NOTE: Choose the date you would like to start the four lesson package from the booking calendar. List the remaining 3 surfing days within the online booking form.